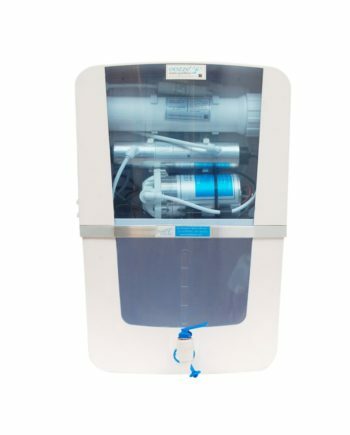 The 100 LPH commercial RO system has the ability to kill the microorganisms in water and safe guard the health of individuals from water borne diseases. The booster pump of this Industrial RO is of heavy Duty hence it will invite only minimal care for the product in the future. 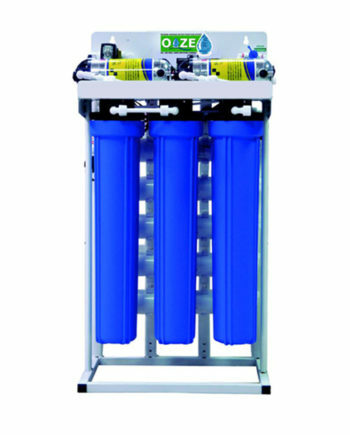 This Commercial RO system is suitable for Schools with 200 to 300 students. 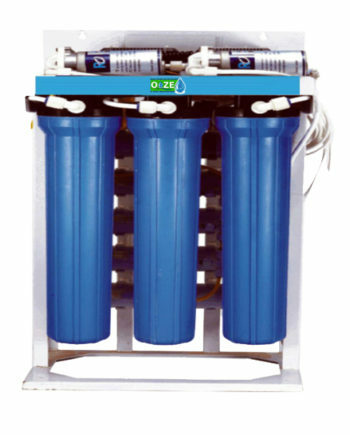 The water purifier is a good alternative among the Industrial RO, as it can easily serve hospitals, where more than 200 patients pop in every day. 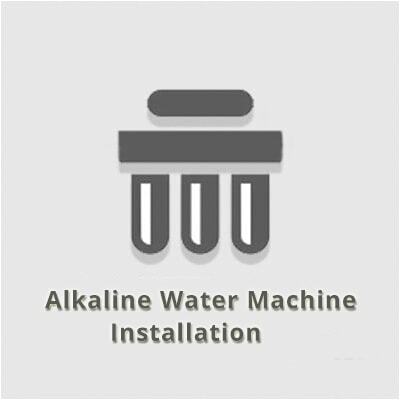 It features a carbon filter is positioned in such way that heavy metals and chemicals particles which escape reverse osmosis membrane are removed. It also has two ultraviolet UV lamp is placed so to nullify ions or other microbes that had been left by the former osmosis process. In the last, it features a film with very reduced size pores to filter nanoparticles which provide ultra-purification. 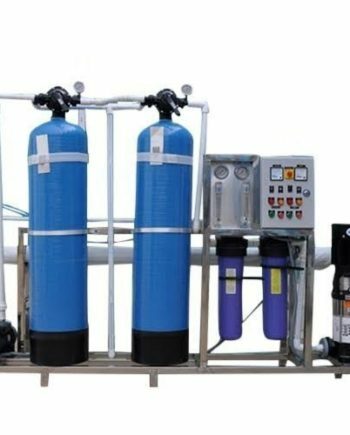 100 LPH Commercial RO Plant works with reverse osmosis, which is effective in removing filths from water by passing it through a number of semipermeable skins that removes all the ions and metals. 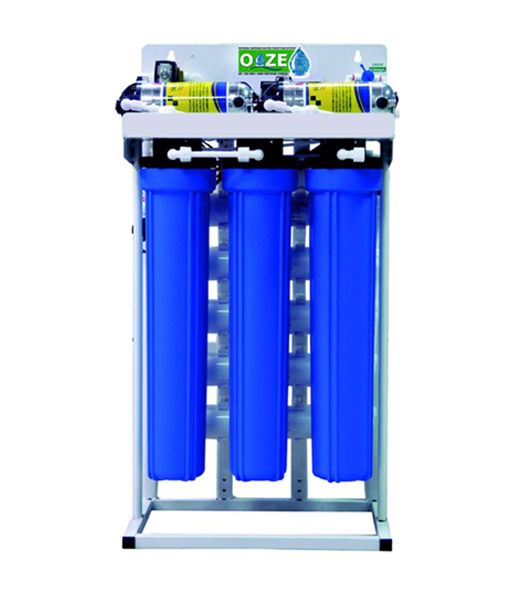 The impurities mixed with water like dust, dirt, lead, chlorine and microorganisms like microbes and fungi are eliminated with the help of the advanced multi-walled filter to deliver your operatives or workers with extreme quality water. 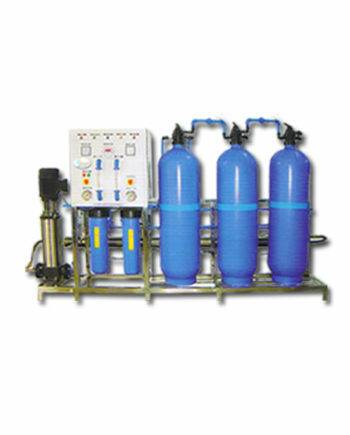 These 100 LPH Commercial RO Plant can be fitted hassle free as companies’ technician will visit you for fitting and it can be employed in places like industries, factories, school, and big hotels etc.